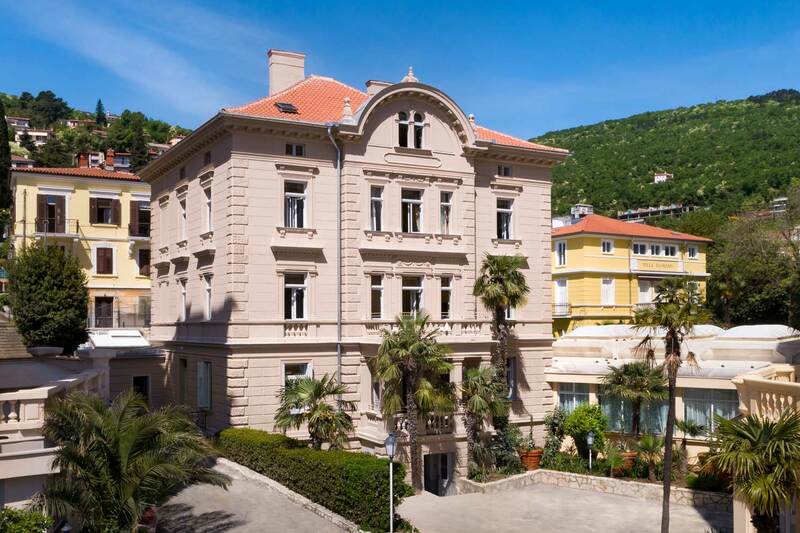 Back in 1884, Iginio Scarpa, a patrician from Rijeka, built the Villa Angiolina as a summer house, an event which would eventually mark the beginning of Opatija as a holiday resort. This beautiful Biedermeier building, named after Scarpa's late wife, is today one of the town's most recognisable landmarks. The villa is surrounded by a park dotted with exotic plants that were brought here from faraway parts of the world. Its scenic beauty continues to impress visitors at all times of the year. The Villa Angiolina quickly became a centre of social life and was visited by renowned figures, who were delighted with the area's Mediterranean climate and vegetation. Word about this place spread quickly and Opatija soon became a famous health resort. It is interesting to observe the rise in price of the villa: Iginio Scarpa bought the entire plot of land for 700 forints, while in 1910 the villa with the surrounding park was sold for 2.5 million crowns. The first hotels were opened shortly afterwards for the numerous interested visitors. These were today's Remisens Premium Hotel Kvarner, Smart Selection Hotel Imperial, and Remisens Hotel Palace Bellevue. The Villa Angiolina is today the home of the Croatian Museum of Tourism, which collects, houses, researches and exhibits tourism-related heritage items. It is a place to visit if you are interested in valuable collections of historic photographs, picture postcards, hotel items, maps, souvenirs and memorabilia. The price of an entrance ticket is approximately 2 euros.